Thanksgiving is my favorite holiday. Maybe it’s because it’s secular, which makes it universal (or at least national) but I think it has more to do with the food. My brother Jeff and his wife, Sara, hosted this year’s feast in San Francisco. 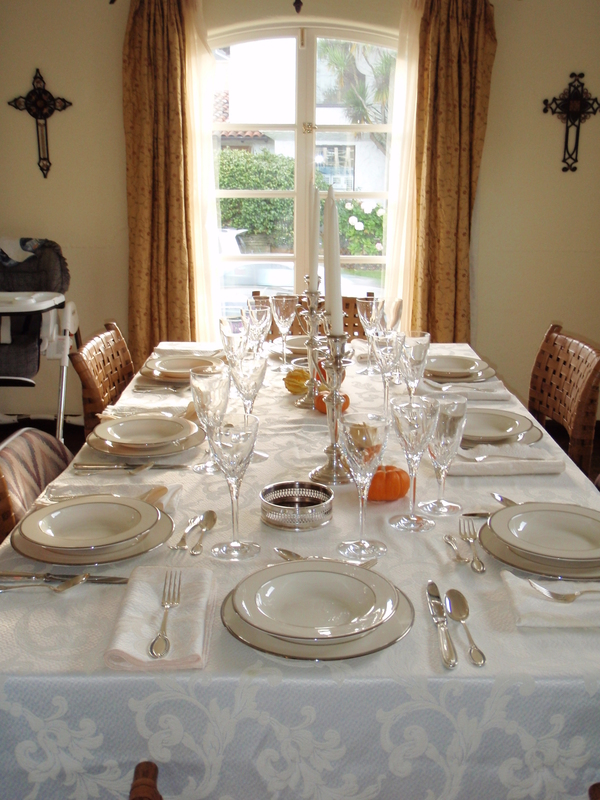 Sara set the table with her and my grandmother’s silver, her china, and crystal stemware. I love that we’re using the same forks, knives, and spoons that my family has used for 60 years. 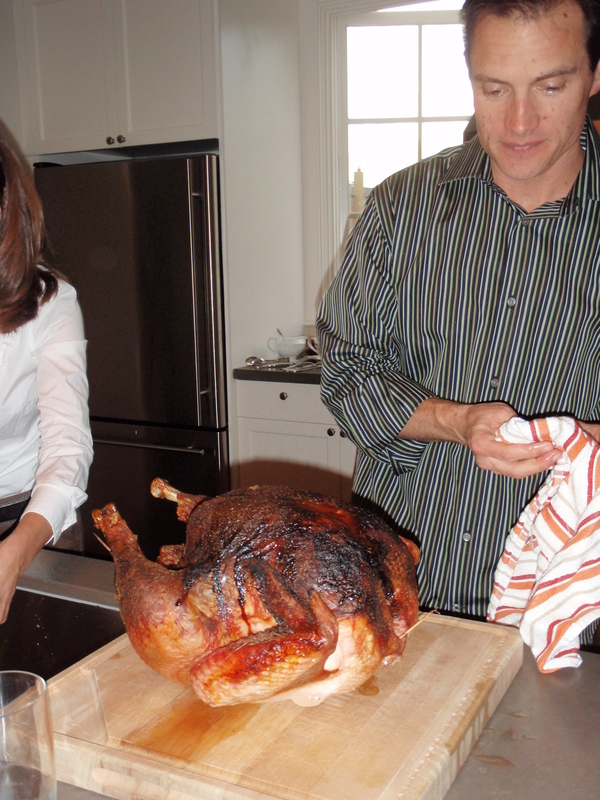 Jeff carved a beautifully roasted turkey. My sisters, Paula and Meighan, brought mashed sweet potatoes with apples (Paula), pumpkin cheesecake, biscotti and apple pie (Meighan). I dug through my old Bon Appetits and found a 2007 recipe for roasted butternut squash with goat cheese and hazelnuts. Yum. My 90 year-old grandfather, Vin Finigan, sat next to Jeff and smiled and laughed with his 11 great-grandchildren. When we get together, we’re loud. We laugh, we tell stories, we eat, and we drink. I am so thankful for my family, our health, our shared history and our good times. One of the best things about families and food is that they go together … every family has its own favorite recipes and traditions. The food keeps us around the table longer, it bridges generations, it nourishes us. And then today we get to eat the leftovers … and savor the good things we’ve been given.